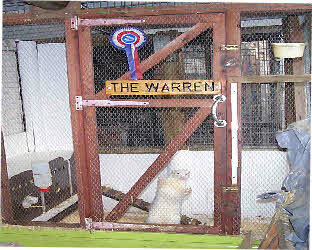 The warren, inside the hole. Fred has a keen sense of humour! These Jill ferrets have the run of a large cage, no fat on these workers, just muscle. Exercise and sound diet being the key. The shed was originally built to house Fred’s dogs whilst he was training them. 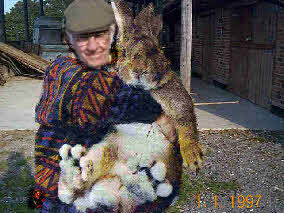 This amazing rabbit was captured using the ferret illustrated above, honest!